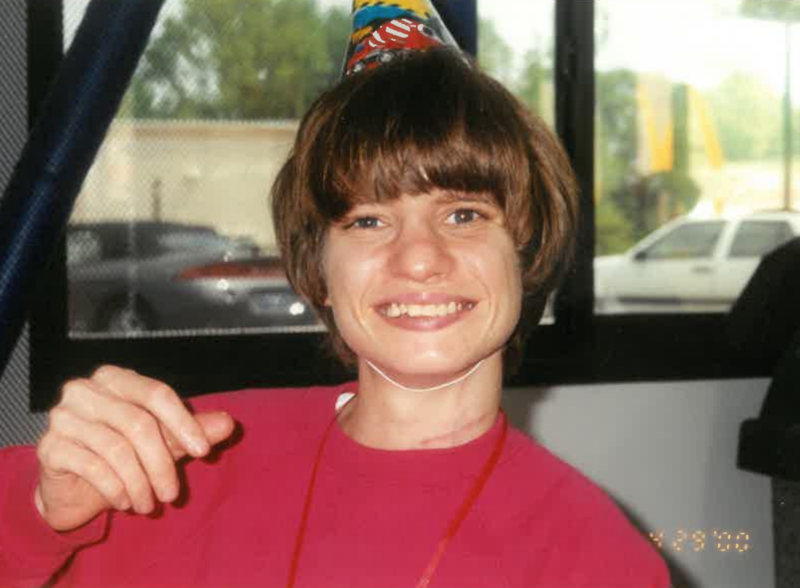 Provide comfort for the family of Trina Brown with a meaningful gesture of sympathy. 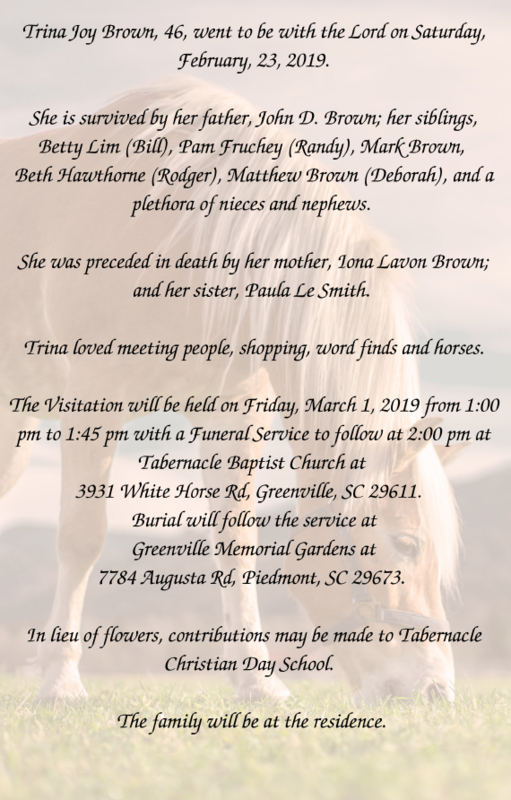 Trina Joy Brown, 46, went to be with the Lord on Saturday, February, 23, 2019. She is survived by her father, John D. Brown; her siblings, Betty Lim (Bill), Pam Fruchey (Randy), Mark Brown, Beth Hawthorne (Rodger), Matthew Brown (Deborah), and a plethora of nieces and nephews. She was preceded in death by her mother, Iona Lavon Brown; and her sister, Paula Le Smith. Trina loved meeting people, shopping, word finds and horses. 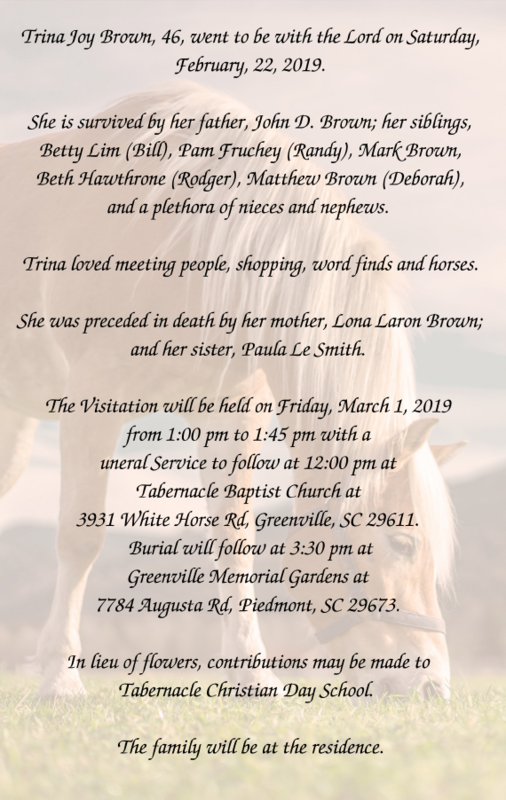 The Visitation will be held on Friday, March 1, 2019 from 1:00 pm to 1:45 pm with a Funeral Service to follow at 2:00 pm at Tabernacle Baptist Church at 3931 White Horse Rd, Greenville, SC 29611. Burial will follow the service at Greenville Memorial Gardens at 7784 Augusta Rd, Piedmont, SC 29673. In lieu of flowers, contributions may be made to Tabernacle Christian Day School. 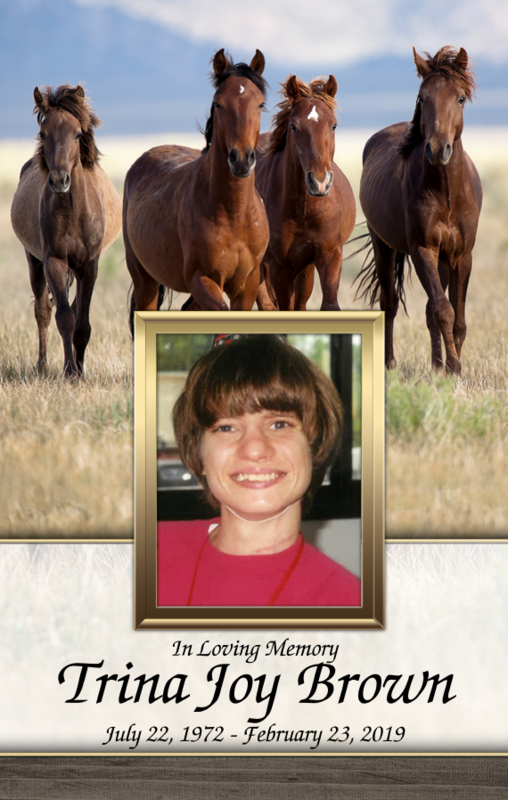 To send flowers to the family of Trina Joy Brown, please visit our Heartfelt Sympathies Store. We encourage you to share any memorable photos or stories about Trina. All tributes placed on and purchased through this memorial website will remain on in perpetuity for generations. 4-HAWKS sent flowers to the family of Trina Joy Brown. Sorry for your loss and we got your back! Thoughts and prayers are with you and your family. Please let us know if we can do anything. 4-HAWKS purchased flowers for the family of Trina Brown.